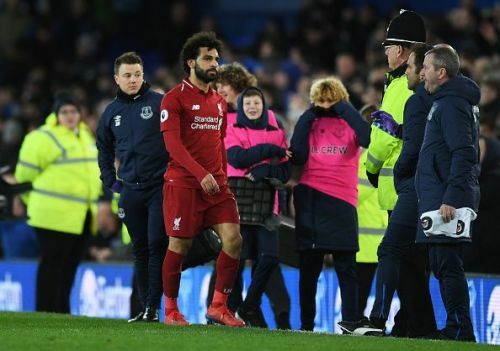 Sunday’s stalemate at Goodison Park meant that Liverpool slipped one point behind their resurgent title rivals Manchester City. Klopp’s side had a handsome seven point lead coming into the new year but have somewhat lost their rhythm since the 2-1 defeat at the Etihad in early January. The Reds have not been at their fluent best in the past couple of months giving their German manager a major headache with team selection. After City’s historic “centurion” season last year where they won the Premier League title with a staggering gap of nineteen points, fans and pundits claimed that the gap between Pep’s team and the rest of the league was growing exponentially. However, this season, Liverpool have had a fitting reply. The Reds’ startling form saw them running away with the title initially, but a recent succession of draws against Leicester City, West Ham United, Manchester United and Everton have left them trailing behind Manchester City. Mohamed Salah has remarkably underperformed against the top six this season scoring 1 goal in 8 appearances. Sadio Mane has scuffed important chances in recent games and Firmino is no out-and-out goalscorer like Sergio Aguero. The midfield has been a severe weakness in this defensively-improved Liverpool team with Wijnaldum and Fabinho the only ones who have shown promise. Manchester City, on the other hand, have won 8 out of their last 9 games with their star performers Sergio Aguero, Raheem Sterling and Bernardo Silva looking to fire their team to a consecutive Premier League title. Barring form, the title race is delicately poised with only one point separating the two teams. This might just be the closest and most exciting title race in recent years. With nine matchdays to go, we take a look at 5 important games that could decide this season’s English Premier League. The first of Liverpool’s two remaining games against top-six opposition comes at home to Tottenham Hotspur. With Manchester City hitting top gear at the right time, both Liverpool and Tottenham have failed to keep up with Pep Guardiola’s side. A month ago, Tottenham were considered as serious title contenders along with City and Liverpool but their inevitable slump in recent weeks has seen them fall 10 points behind the current champions and back-to-back title hunters. The Reds have come out as winners 8 out of the last 13 times they have faced Spurs. The reverse fixture in September at Wembley saw Roberto Firmino score the winner to secure an important three points. 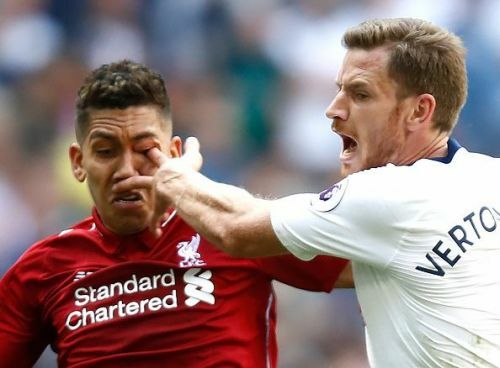 Liverpool will look to give out a statement to their title rivals with a double against Pochettino’s men and it might just be the final push they need to secure their first title in 29 years. Andros Townsend's wonder volley was the pick of the goals in Palace's stunning 3-2 win at the Etihad nter caption Chelsea fans mocking Liverpool and Steven Gerard over his infamous slip at Anfield in 2014. Perhaps, an anxious evening in the middle of April might just prove to be the most important matchday of this Premier League season. 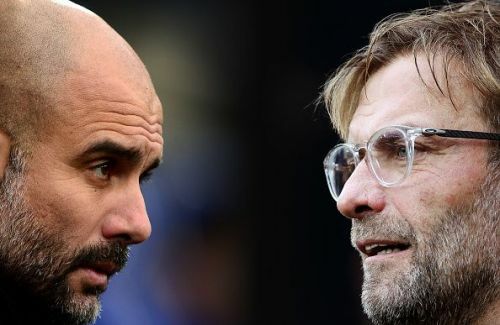 With City visiting Selhurst Park and Liverpool hosting Chelsea, the title race could take some more dramatic twists and turns before the final conclusion. Remarkably, this season's matchweek 34 draws eerily parallels to the exact same matchweek of the 2013/14 season in which Brendan Rodgers’ Liverpool surrendered their title to City. The Kop was stunned that day by Chelsea when Steven Gerard famously “slipped” at Anfield while Manchester City club legend Yaya Toure inspired them to a hard-fought 2-0 victory away to Palace. City fans will be hoping more of the same come April. Pep Guardiola and his City side have made it difficult for themselves in their last couple of meetings with the Eagles. The 0-0 draw last season saw the end of City’s record-breaking eighteen consecutive wins in a top flight season whilst the stunning 3-2 defeat in December saw City slip further away from then-flying Liverpool. Andros Townsend scored a stunning volley in that game which is surely a Goal Of The Season contender. A visit to Selhurst Park is always difficult, but the magnitude of this game becomes even higher when there is a Premier League title in the offing. Pep Guardiola will surely be looking at that Palace game with some tense eyebrows. One of the most infamously iconic games in Premier League history was played on the evening of 27 April 2014. Brendan Rodgers’ on-fire Liverpool side were on course of winning their first ever league title of the modern era while Chelsea were having a substandard post-title-winning season under Jose Mourinho. Sturridge, Suarez and Sterling were in lightning form for the Reds. Liverpool had just beaten Manchester City a fortnight ago and needed to win against Chelsea to cement one hand on the trophy. But it just wasn’t meant to be. Two goals by Demba Ba and Willian in both half-time and full-time stoppages respectively sunk Liverpool’s title charge. 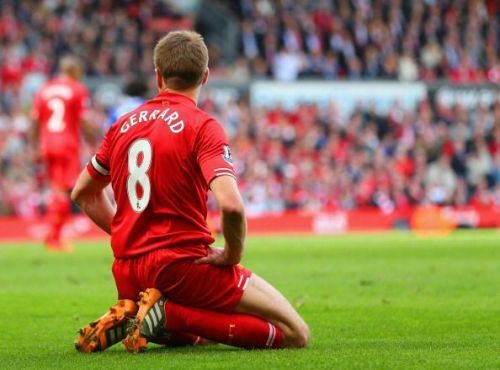 Club legend Steven Gerard’s infamous slip that day which resulted in Chelsea’s first goal still remains to be one of the most talked-about moment in Premier League history. However, Klopp and Liverpool will hope to put that year’s misery behind them as they look to make things right this time around. The reverse fixture at Stamford Bridge saw the two sides play out a cagey low-scoring draw as has been the case in the last few meetings between the two. Chelsea have recently been in news for all the wrong reasons with the two-window transfer ban, Kepa’s mutiny at Wembley and their disaster of a season being heavily talked about in the last week or so. Klopp and Liverpool on the other hand will hope to avoid a deja vu moment in mid-April. 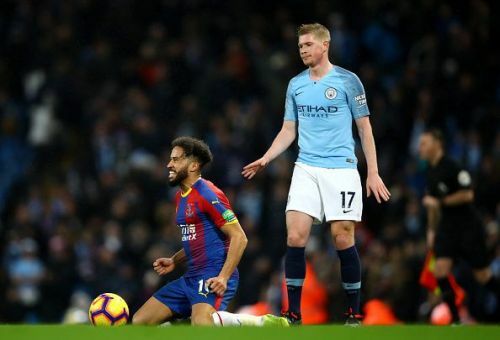 Manchester City have a horrid run of six Premier League fixtures sandwiched between their visit to Palace and their final day trip to Brighton: Tottenham at home, Man United away, Burnley away and Leicester at home. Tottenham and United are surely massive games for Guardiola but the Catalan has remarkably struggled more against the other three teams in his time at City. City have a fantastic record against their North London rivals winning 11 out of the last 16 meetings in the Premier League. Last season, City’s 3-1 win at Wembley proved to be the day that they brought home the title after United’s shock loss to relegation battlers West Bromwich Albion. 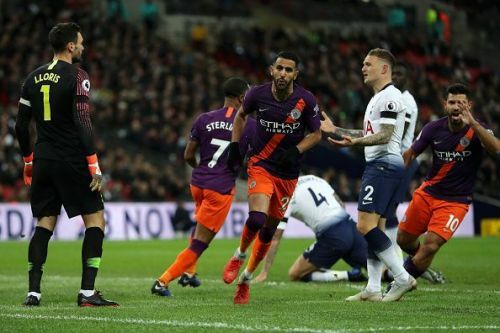 In the first tie this season, Riyad Mahrez’s goal was enough to secure the three points season on a torrid Wembley pitch in October. Tottenham, being Tottenham, have been inconsistent with their results recently after damaging losses to Burnley and Chelsea has almost ruined any title chances. But Pochettino’s men are playing a different ballgame in the Champions League. Their stunning 4-0 aggregate win against Borussia Dortmund might just give them hope to push for a late title charge. Guardiola’s men cannot afford to take their foot off the gas and will hope to win against Tottenham. Spurs are the only top six team yet to play both City and Liverpool away and they might just decide the title come May. 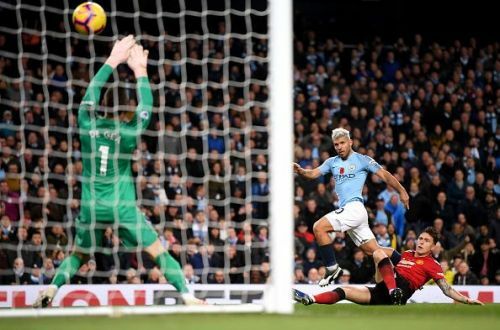 Due to Manchester City’s incredible run in all four competitions, the original game at Old Trafford in the middle of March had to be rescheduled. FA Cup duties for both clubs means that the tie will now be played on the 25th April, just three matchdays before the culmination of the Premier League. Manchester United have had a season of two halves. Jose Mourinho was sacked in December following several weeks of agony and anguish for the supporters. The Portuguese hugely failed to live upto his expectations and the club needed a desperate change. Several eyebrows were raised when Ole Gunnar Solskjaer was appointed as caretaker manager but the Norwegian has extraordinarily turned the tide at Old Trafford. United are still unbeaten under their new boss in the Premier League with Paul Pogba, Marcus Rashford and Ander Herrera turning heads week-in week-out. United’s 3-1 defeat against their arch-rivals City at the Etihad was almost an embarrassment for the players and fans. Jose Mourinho’s team were toyed and bullied with on that day. However, Solskjaer’s reborn Manchester United will pose a definite threat to title-chasing City. A defiant Paul Pogba spoilt City’s title party last season when he scored two quick-fire goals to stun the Etihad. With the fixture pushed for late April, we might see a title-deciding Manchester derby for a second consecutive season. Pep Guardiola and his team will surely want to give their fans the golden chance to celebrate glory on hostile territory.